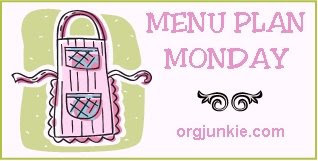 Frugal & Fabulous: The Return of Menu Plan Monday! The Return of Menu Plan Monday! Well it has been a long year but I'm finally done with school! Which means now I'll have more time for my favorite hobbies: cooking, couponing, DIY projects and of course blogging! Without further ado - I bring you the return of Menu Plan Monday!